Don’t trust too much. Don’t hope too much. Don’t love too much. 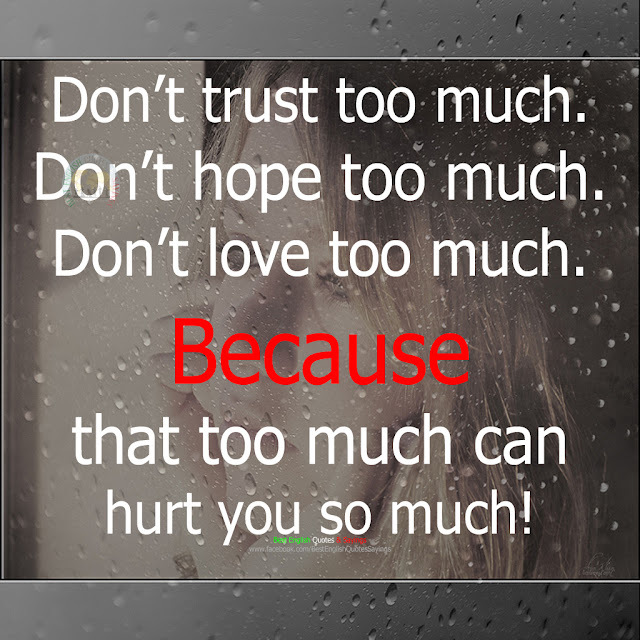 Because that too much can hurt you so much!